If people aged over 50 take a supplement with a highly absorbable form of curcumin every day, their memory improves. Nutritional scientists from the David Geffen School of Medicine in Los Angeles report this in the American Journal of Geriatric Psychiatry. The researchers gave 21 healthy people aged 50-90 years for 18 months every day 2 doses of 90 milligrams of Theracurmin. 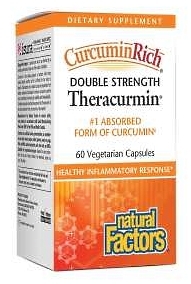 Theracurmin is highly absorptive curcumin dispersed with colloidal nanoparticles. 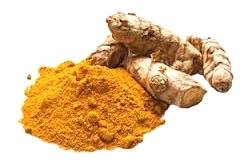 The bioavailability of Theracumin is 27 times larger than that of regular curcumin. [Biol Pharm Bull 2011;34:660-5.] A control group of 19 individuals received a placebo. Shortly before the experiment began, and after 6, 12 and 18 months of administration, the researchers determined the memory function of the study participants with the Buschke Selective Reminding Test [SRT]. That test measures verbal memory. The Consistent Long-Term Recall is part of this test. First test subjects hear 12 words, and immediately thereafter they have to tell which words they have remembered. The researchers repeat this procedure 12 times in a row. The administration of Theracurmin improved the participants' scores on the test. The researchers gave the test subjects a radioactive substance before and after the supplementation that attaches itself to the broken amyloid-beta proteins that are find present in the brain cells of people with some form of dementia. It sounds good, but those parts of the brain have little to do with memory. Oh yeah. You can't have everything. "This study has several strengths, including the relatively long treatment duration with a bioavailable form of curcumin; the focus on non-demented middle-aged and older adults rather than subjects with more advanced neurodegeneration; the use of sensitive cognitive measures to track memory effects; and exploration of possible concurrent effects of curcumin on brain plaque and tangle burden", the researchers wrote. "Our positive findings that daily use of Theracurmin, a bioavailable form of curcumin, improves memory and decreases amyloid and tau binding in the amygdala and hypothalamus are encouraging that this relatively inexpensive and nontoxic treatment may have a potential for not only improving age-related memory decline but also preventing or possibly staving off progression of neurodegeneration and eventually future symptoms of Alzheimer disease." "These results warrant further study in similar populations to confirm the observed cognitive benefits of curcumin and elucidate the underlying mechanisms responsible for such effects." Am J Geriatr Psychiatry. 2017 Oct 27. pii: S1064-7481(17)30511-0. A diet from which you derive energy mainly from fats and proteins, and not from carbohydrates, improves memory function in elderly people. Drink 2-3 glasses of blueberry juice every day for 12 weeks and you'll notice a marked improvement in your memory. Drink 2-3 glasses of red grape juice every day and within 12 weeks your brain will be better at absorbing new information.